where our boutique blowout and style bar specializes in gorgeous professional blowouts and makeup services. FREE BLOOM APP: Schedule, view and plan your appointments from your mobile device. 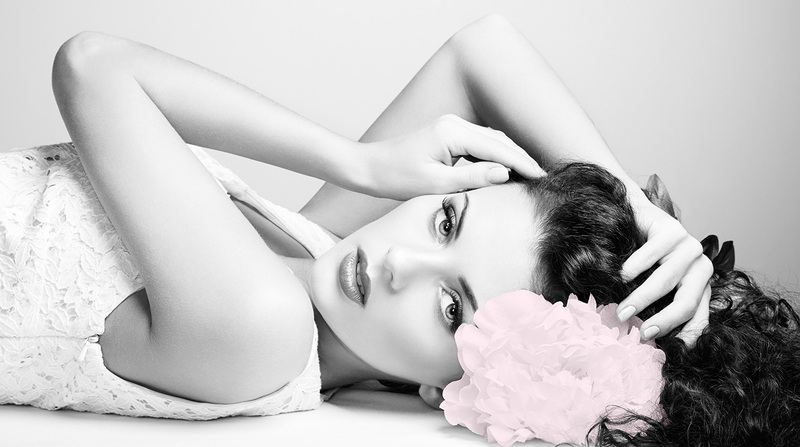 Come into Bloom Blow Dry Bar, book your online appointment now. Buy a monthly membership, discounted multi-packs and online gift cards. VIP monthly membership. Discounted Blowouts!! Are you passionate about hair and makeup, fun people, great pay and cool perks? If so, we would love to meet you. We have party options for brides, pre-proms/dances, birthdays, graduations, work retreats, book clubs and more! Call 415.702.9916 or email us for info. *LATE CANCEL, LATE CHANGES & NO-SHOW POLICY: We understand that emergencies and last minute changes to schedules happen, but we ask that you always try and cancel appointments 24 hours in advance. Appointments that are late changed or late cancelled with 2 hours or less notice before the booked service will be charged a $20 fee and all no show appointments will be charged in full for the missed service to the credit card on file. Appointments are deemed a no show 15 minutes past booked appointment time. In addition, late arrivers that cannot be accommodated and miss the appointment window will be charged the $20 late cancel fee. *Members and Tab holders will be deducted a blowout for no show blowout appointments if available on account rather than charging their card. By booking with us you are agreeing to this policy and responsible for any charges on account should there not be a credit card saved with us. Unpaid late cancel and no show appointments on account will result in not being allowed to book future appointments with us. Please understand that really late cancels/late changes and no show appointments are very hard on our small business and staff as we can’t rebook the time slot that has been set aside with the stylist and/or makeup artist. *RUNNING LATE: Please note that we do not have a grace period for being late. Our express services require the full allocated booking time, so if you are running late and we don’t have enough time to complete your service before the next scheduled appointment, we hope you understand that we cannot make other customers wait and will need to reschedule your appointment. That said, we will always make every attempt to accommodate late arrivals. Late arrivers that cannot be accomodated and miss the appointment window will be charged the $20 late cancel fee. *EXTRA EXTRA TIME BLOWOUTS: We allocate up to 60 minutes for our regular blowouts at the $45 price, if you think your hair may take longer due to length, thickness or curls, please call the salon to book your appointment so that we can set aside the proper amount of time needed. We offer free walk in consultations if you are unsure. Blowouts requiring 75+ minutes are $90 as our pricing is directly correlated to the time and talent it takes to perform the service. *HAIR EXTENSION POLICY: We happily service clients with extensions, and we will be as careful with them as possible while providing our services, but please understand that we cannot guarantee that delicate extensions will not come loose or come off during our services. *OUR CURLS POLICY: We strive to give every client a beautiful and lasting blowout and want every client leaving our salon to feel and look their best. Our extensively trained stylists set our styles to last as long as possible using the best tools, products, and techniques in the industry. Bloom does not and cannot guarantee that curls and volume will last for any extended period of time. There are too many variables outside of our control that will cause a style to fall, such as: hair types, hair cuts, lengths and weight, the weather variables of wind, heat or moisture, how often the hair is touched, etc. That said, we will always do our best to obtain a lasting style. *RETURN/REFUND POLICY: Due to the nature of the products sold at our salon and in an effort to stay sanitary, we do not accept any returns or exchanges for any used products. You are more than welcome to try our products in the salon before purchasing. We do accept returns of UNOPENED items within 7 days upon locating your purchase in our system. Bloom reserves the right to refuse any return or exchange requests. Please note that Bloom gift cards may not be returned and should always be treated like cash and they cannot be replaced if lost or stolen. *RIGHT TO REFUSE SERVICE: We reserve the right to refuse service to any client for improper conduct, tardiness, no shows, posing health risk, and any other situation we deem inappropriate. *CHILDREN: We kindly ask that you do not bring young children to salon appointments if they cannot be supervised properly during your service, we have hot tools and other dangers that pose risk to their safety, in addition, we have limited waiting area and seats that need to be available to our customers. *PETS: We kindly ask that you do not bring pets to salon appointments, unless they are a certified service animal. We love animals but not everyone does, and some clients are afraid or allergic. Pets also create a safety risk to our staff and clients moving around with hot tools in our small salon.